WASHINGTON (AP) -- The chairman of the House intelligence committee says he will temporarily step aside from the panel's probe into Russian meddling in the election. 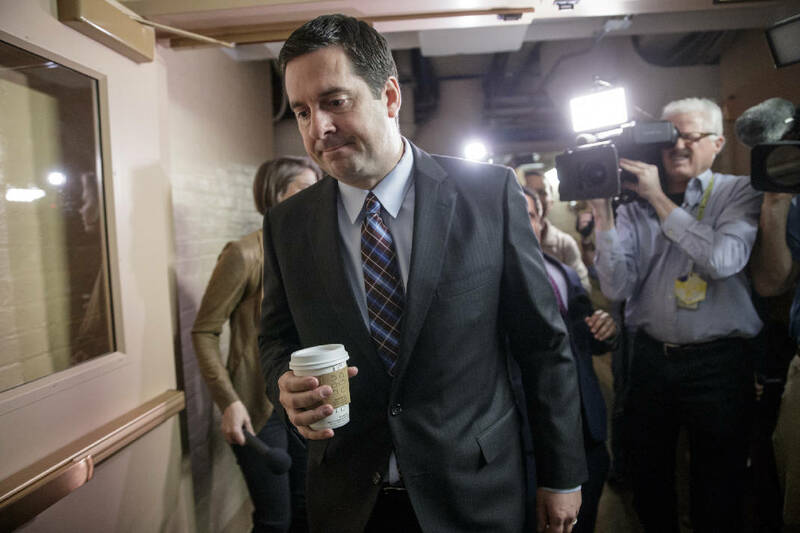 In a statement on Thursday, Republican congressman Devin Nunes (NOO'-nehs) of California says that several left-wing activist groups have filed accusations against him with the office of congressional ethics. Nunes says the charges are false and politically motivated. But he says it's in the best interest of the committee to have GOP congressman Mike Conaway of Texas temporarily take charge of the committee's investigation. He says he will continue fulfilling other duties with the committee and wants to talk to the ethics committee as soon as possible to defend himself.